The moment I pressed play on this album I fell in love with it. Why? I'm not really sure, that's the beauty of it, theses are just song moments that touch something deep in the soul. Musically and atmospherically something just happens when I hear these beats, sounds, songs and instruments which have been put together carefully and cleverly. Read More The moment I pressed play on this album I fell in love with it. Why? I'm not really sure, that's the beauty of it, theses are just song moments that touch something deep in the soul. Musically and atmospherically something just happens when I hear these beats, sounds, songs and instruments which have been put together carefully and cleverly. There are moments you feel your heart beating faster, that's what the music does to you. It uplifts you, it's with you when you're down, reminds you of moments, reminds you of God in those moments and Andy has managed to put together all this in music and in a way without using many words. He is a clever man with clever ideas. 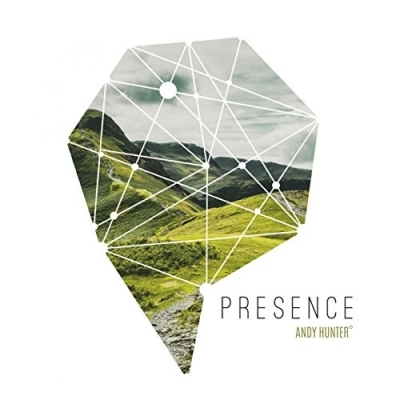 Andy Hunter always sounds fresh but this album has a clean feel and definitely a fresh feel to it. I can't fully work out why, yet this feels great to listen to. Please don't take that to mean all his tracks are dance inspired happy go lucky numbers, far from it. There are haunting tracks, inspired track but each track takes you on this amazing journey that catches you unaware. When you're used to hearing albums using the same old terminology in their lyrics, and then you hear a new album that doesn't use many lyrics to tell you what it wants you to feel, then it's a great feeling. You can put these songs on and tell God how you actually feel. Thank Him with these songs, seek Him and even listen to Him with the use of these songs. It's actually great not to be restricted by what the lyrics want you to say to God. Andy Hunter I'm sure will record many more amazing albums, but for me this has to be one of his highlights in an already amazing collection of top top albums.